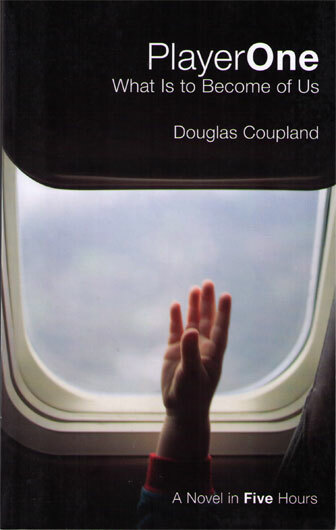 Probably the best known name (internationally) on this year’s Giller Prize, that Douglas Coupland’s novel made the Giller list was still, to me, a surprise. It is a novel, but actually it is Coupland’s contribution to the Massey Lectures, an annual event in Canada, directed at “enable distinguished authorities to communicate the results of original study on important subjects of contemporary interest.” Hopefully some Canadian visitors will help us learn more about this event, how prestigious it is, which lectures have been particularly memorable, and just how many of the lectures have taken the form of fiction. As far as I know, Player One is the first of the Massey Lectures to be nominated for the Giller. It is clever. I like that in the end Rachel is totally hung up on the metaphor which her mind cannot compute. But I had a hard time accepting that this conversation would be taking place with explosions going on outside and while the men are trying to take care of a sniper whose shown up. I don’t believe these thoughts would even cross Karen’s mind — she has a child on the other side of the country going through who knows what in the riots. I was just commenting on that D&D story. One thing I noticed in that is that the author gets the small details right. Player One isn’t to me a credible name for an online avatar. Trivial as it is, that rather throws me off the rest. Small details matter. Then, like you, I struggle with the notion of these conversations in that context. Ok, realism isn’t everything, but psychological realism is one of the trickier things to jettison in a work and if you do jettison it then an issue arises of why the reader should care. My impression is that here Coupland doesn’t give such a reason, which is a fatal flaw really. Perhaps he should just have written an essay. This all sounds very hokey. I will probably read it – I’m a bit of a Coupland groupie, to come clean, and love his ‘voice’ – but this sounds (‘reverse engineered’) very much like a slightly preposterous minor exercise. Marking time. I agree with Lee that “reverse engineered” seems to capture my concerns about this book. We shall see. Here is a link to the Wikipedia entry on the Massey Lectures, now entering their second half-century. They have certainly featured some international names in their history (Martin Luther King, John Kenneth Galbraith, R.D. Laing) although recent lecturers have tended to be Canadian (Stephen Lewis, Margaret Atwood, Alberto Manguel). The CBC normally does arrange to have them published, but I think (and stand to be corrected) that Coupland is the first to frame his lectures as a novel. It is a very worthy initiative that I don’t think has many parallels elsewhere in the world. Kevin, I had no idea Manguel had links to Canada. Looking him up, he’s certainly had a peripatetic life. He’s someone I’m dimly aware of being interested in without ever making the effort to read. I know his Library at Night is widely admired. Sorry, Lee, I don’t follow the Massey Lectures closely enough to know what the issue was in 1996. As for Galgut, if Coetzee was allowed in last year, I can’t see a problem with this novel. Then again, unlike many readers, I preferred to read it as a novel, not a memoir or collection of related stories. Galgut remains my favorite for the Booker. I have to admit, until I heard about the controversy it hadn’t even occurred to me not to treat the Galgut as a novel. It seems, well, novelistic. Think you’d have to be Canadian to appreciate the significance of the Massey Lectures. They started in the early 1960s just prior to Canada’s Centennial in 1967. We were examining our heritage and creating our future as the country celebrated a maturity milestone. We knew our culture was distinct from yet greatly influenced by Britain, France, the U.S. We needed our politicians, judges, intellectuals, artists to flesh out the Canadian identity so both we and the world could see a Canadian flag, read our Charter of Rights and Freedoms, study Canadian literature and culture, etc. Every culture within Canada and every liberation movement had a voice and could make significant contributions to the process. Ultimately, the Galgut is the best book on there and deserves it, and the arguments seem a bit fatuous. Though I hope it goes to Jacobson if not. Thanks for your comments everyone. I’ve been away on business all week and basically unable to do anything but read them. Great link! Thanks JOhntARIO, for providing! Sorry Megan. I don’t even know if I still have the book.